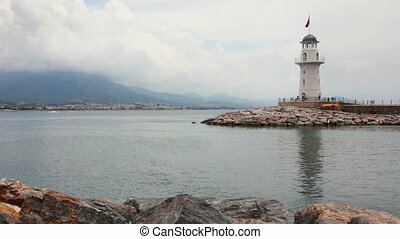 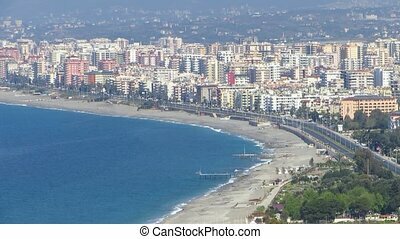 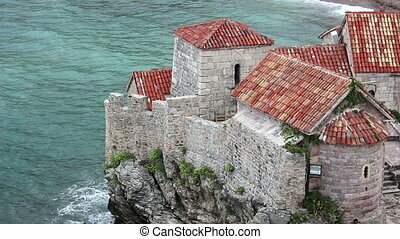 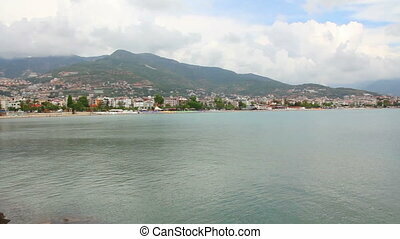 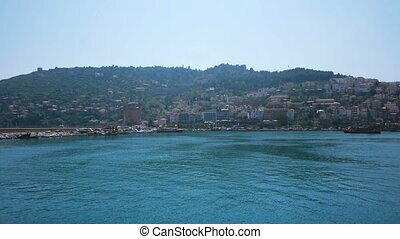 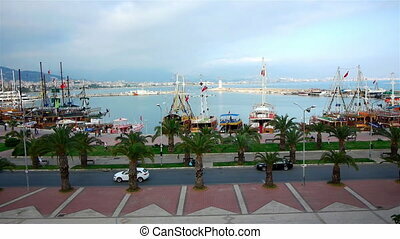 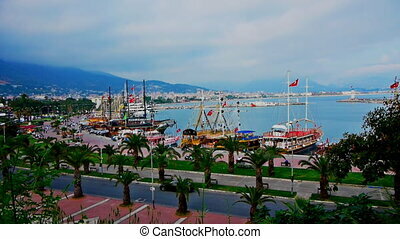 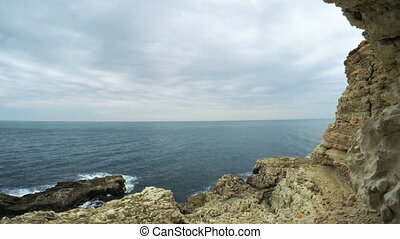 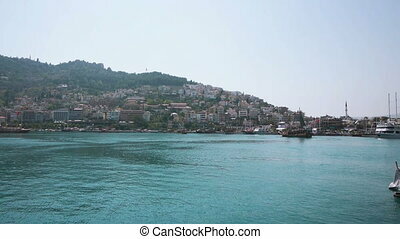 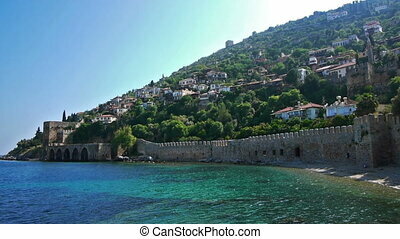 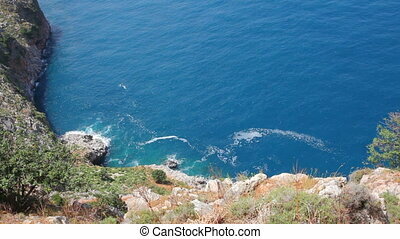 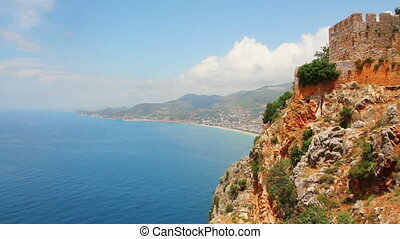 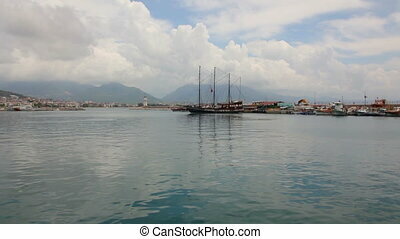 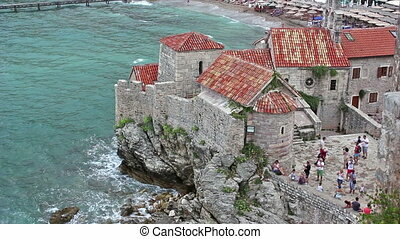 Bay in mediterranean sea - view from fortress alanya turkey. 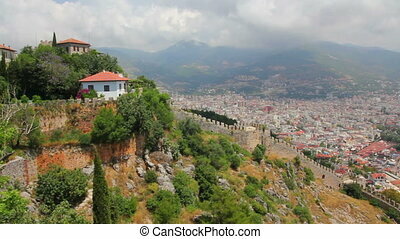 ALANYA, TURKEY - MAY 05: View from water on walls of Alanya medieval castle (Alanya Kalesi)on May 05, 2012 in Alanya, Turkey. 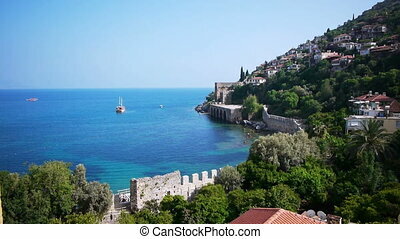 The castle is located 250 metres (820 ft) high on a rocky peninsula jutting into the Mediterranean Sea, which protects it from three sides. 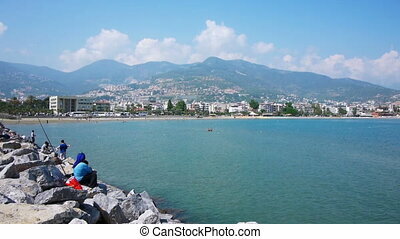 ALANYA, TURKEY - MAY 05: Local fishermen sitting on rocks of sea shore with view of sand beach on May 05, 2012 in Alanya, Turkey. 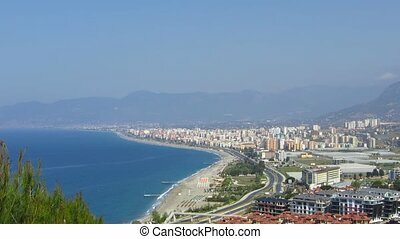 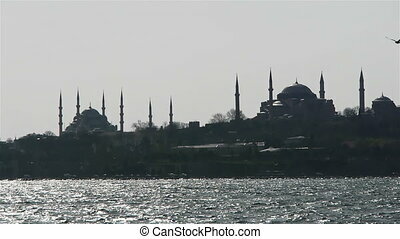 The city has changed its name many times until Mustafa Kemal Ataturk finalized the name in the new alphabet as Alanya in 1933. 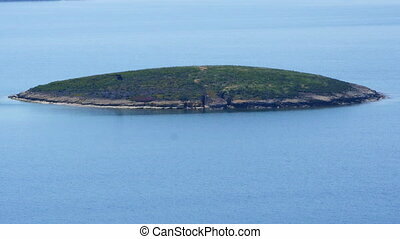 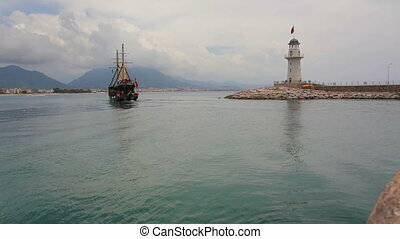 "Small tiny island in mediterranean aegean sea, foca, izmir, turkey"